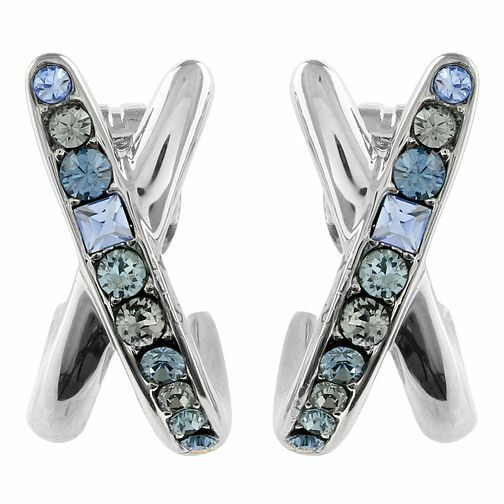 Impossibly stylish, this Baguette & Round Crossing Earrings is the perfect stylish accessory for your daily looks. The beautiful combination of the round and baguette crystals in a range of delicate blue hues. These chic accessories will complement any outfit.